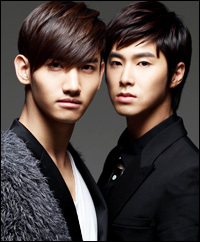 K-pop boy band TVXQ is on an 11-city, 26-concert tour in Japan that started February and runs through April. It is expected to draw some 550,000 screaming devoted fans. Fueling popularity there and in anticipation of the upcoming tour, the band will also release new Japanese single "Still" on Wednesday. The songs, albums, concerts and idolization of the group appear to directly influence the share prices of its agency SM Entertainment and every move is closely followed by investors. This applies to other bands as well. Advancing into the Japanese market has a big impact on the share prices of Korean entertainment companies. "Japan is the biggest overseas market for K-pop, but it is now expanding to Europe and America and this will add momentum to entertainment stocks," Lee Hyun-jung, an analyst at SK Securities said. "However, the agencies need to reduce risk by diversifying their artist portfolios to safeguard against possible damage to the reputation of a specific singer or band." SM was the first big entertainment agency to be listed on the Korean stock market in 2000, soon followed by JYP and YG last year. About a year ago, SM shares closed at around 16,000 won, but on Friday they closed at 54,800 won. The stock price has tripled in just a year, despite a paid-in capital increase in February. YG Entertainment listed on the KOSDAQ in November at 34,000 won but the price jumped to 52,100 won as of Friday. JYP's share price is the lowest among the three listed but it is also on the rise from around 4,000 won in March 2011, and closing Friday at 7,880 won. The size of the entertainment and media market in Japan is estimated at around 194 trillion won per year, some five-fold that of Korea’s. The Japanese music market alone is worth about 22 trillion won annually, the second largest in the world after the United States. YG Entertainment, another entertainment agency listed on the KOSDAQ, is attempting a breakthrough with all-boy band Big Bang and their recently released album "Alive." Big Bang and girl group 2NE1 will release Japanese albums later this month and YG expects to earn some 20 billion won from concert tickets in Japan alone. After last year’s hiatus, Big Bang are ready to rock the world again with brand new music and will hold a concert tour visiting 25 cities in 16 countries crossing Asia, America and Europe. Experts are positive about the prospect of K-pop in Japan and the stock prices of entertainment companies. However, these entertainment shares are vulnerable to rumors and accidents in the harsh world of show business. The activities of entertainers, positive or negative, are directly related to the success or failure of the agency and its stock. Members of Big Bang were involved in a traffic accident and faced accusations for smoking marijuana last year. The group had to suspend plans to release a new single. YG Entertainment was scheduled to list the company on the stock market in October but consequently postponed the move to late November. Despite such unfavorable factors, YG Entertainment is expected to exceed 100 billion won in sales this year thanks to the group's album sales and royalty revenue overseas.